It is a dirty thing that hair grow on leg of a women. So most of them search for a good solution. Here you can see a solution for this problem. We here write about waxing method to remove hair from your leg. 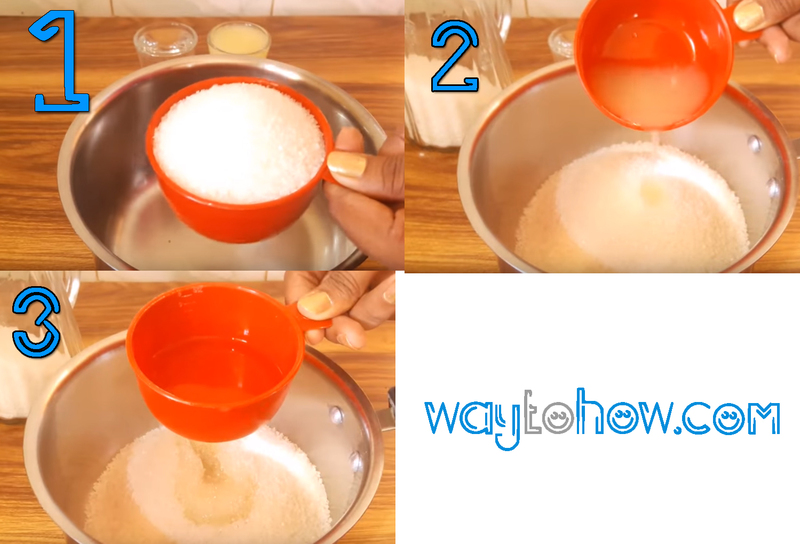 How to make sugar wax easily (Home made sugar wax)? Add all items (Water,Sugar,Lemon Juice) into the pan then switch on the stove. Set the heat to medium. Stir the mixture constantly as it melts together and develops a syrup like consistency. Take it from heat and check consistency of this sugar wax. If it's not come golden/brown colour. Then again heat this for the mixture to turn a golden or brown colour. Then check again, consistency should be hard enough to spread and sticky enough to pull. Is it perfect consistency then remove the wax from stove. Discharge sugar wax from the pan to a heat resistant glass container. Then pull out a scoop of sugar paste. Then wet yours fingers in cold water and knead the was for 1 - 2 minutes. After all done, stretch the paste against the direction of hair growth. After paste like this quickly pull the sugar wax in a flicking motion, with the direction of hair growth. That's it. Any doubt to make this sugar wax ? see step by step with image! Step 1. Add all item to pan. Step 2. Mix it well. like this. Step 4. Switch on the stove to heat this. Then set the heat to medium. Step 5. Wait the mixture to turn a golden or brown colour. Step 6. Then the sugar was pour to a glass bottle (heat resistant bottle). Step 7. Do like this see below image. Step 8. 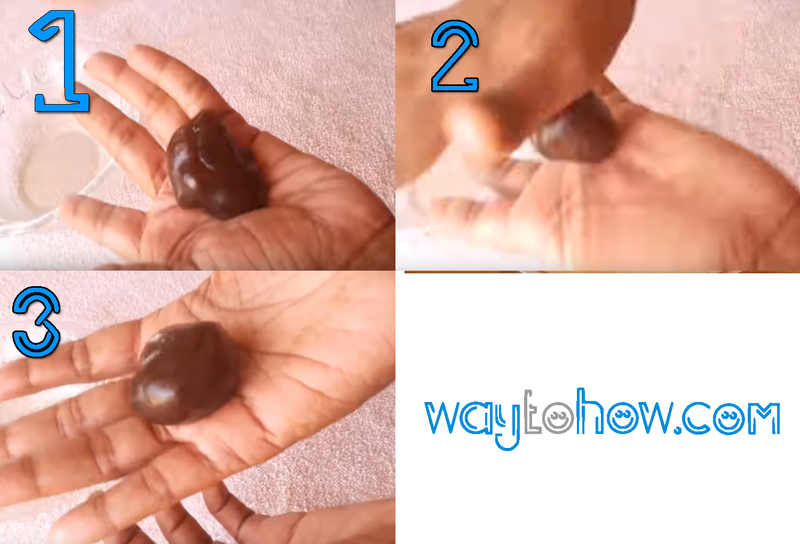 Wet your fingers in cold water and knead the wax for 1 - 2 minutes. Step 9. Then paste it. like this. Step 10. Quickly pull the sugar wax in a flicking motion, with the direction of hair growth. That's it.